“Behold, he comes, leaping upon the mountains, bounding over the hills. My beloved is like a gazelle, or a young stag. We consider Unborn Jesus in the Virgin Mary’s womb during the second trimester of this Redemptive Pregnancy. By the 14th week (of gestation) He has significant cerebellar control which is reflected in a variety of coordinated physical movements and facial expressions. Unborn Jesus clenches His fists, somersaults, rolls over and kicks. For he is like us in all things, but sin (cf. Heb 4:15). 4 1/3 to 4 2/3 inches in length and about 2 ¾ ounces in weight. His wrinkled skin is still somewhat transparent and noticeably we see His heart vibrant and beating 120 – 160 beats per minute (around twice the adult heart rate). Thirty years hence Jesus will say: “Come to me…for I am gentle and lowly in heart, and you will find rest for your souls” (Mt 11:28-29). This miniscule heart, is even now pumping the Savior’s blood, which will wash away the sins of humanity. A tiny red tide of mercy. By the 20th week of gestation, Unborn Jesus can hear conversations between Mary and Joseph (and others) – Joseph’s deeper voice is easier for Him to hear. He recognizes their voices. 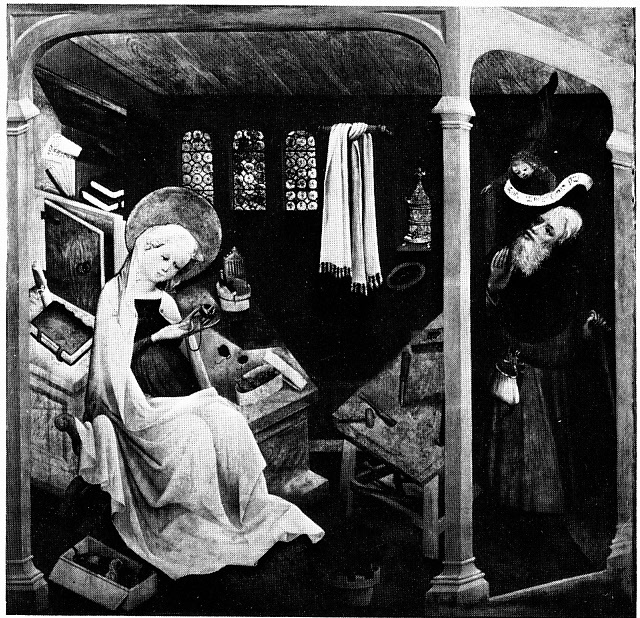 When Mary visits with Joseph while he is working at his carpenter’s trade, Unborn Jesus exhibits a ‘startle reflex’ when He hears loud hammer blows and other noises. (After birth He will grow accustomed to these familiar sounds.) And when Mary sings Psalms, He is comforted. “Sing to the Lord, bless his name; tell of his salvation from day to day” (Psalm 96:2). 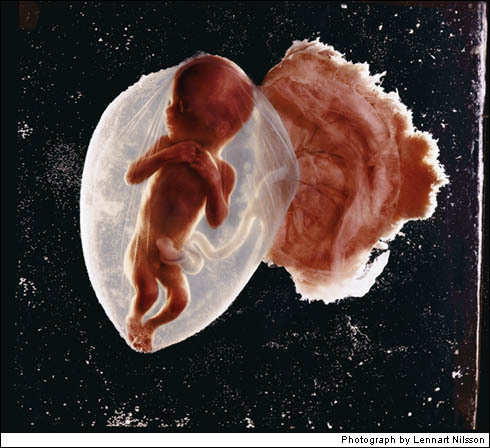 By the 22nd week of gestation, He is about 8 ½ inches in length and weighs about 1 ¼ pounds. Straßburg, Frauenhaus-Museum, Zweifel-Joseph (Detail) Mary and Joseph before the Birth of Jesus.